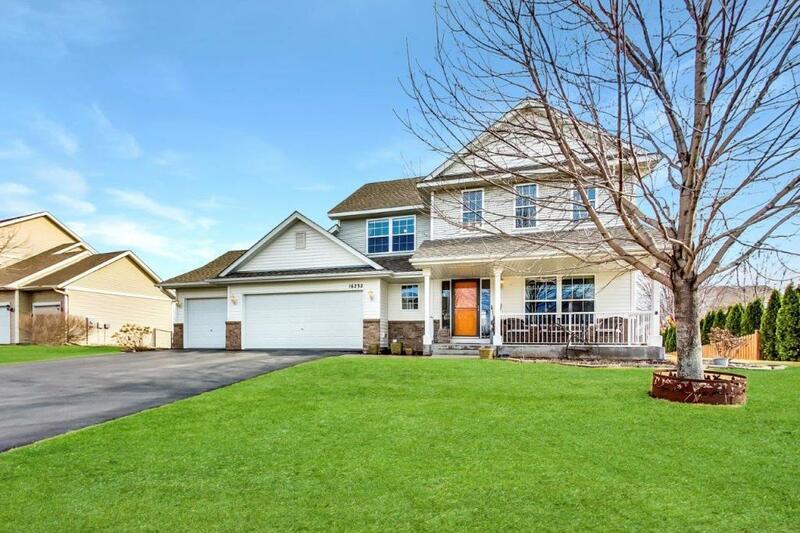 This beautiful home sits on a large lot and features 5 bedrooms and 4 bathrooms. You will love the 3 car garage. Enjoy the summer on the spacious double-tiered deck! Entertain with ease in the impressive great room w/ gas fireplace. The open kitchen features hardwood floors, Stainless Steel appliances, an abundance of cabinetry and counter space, and informal dining. The main level also offers a flex room with unlimited options including: formal dining room, formal living room, den or playroom. The upstairs features 3 large bedrooms and full guest bath plus a Master Suite with ensuite bath and walk-in closet. The lower level has a finished bedroom and bathroom + an unfinished family room that could be left as a play area or finished to gain future equity!